Miami Beach 411 > Hotels > 3-star > Sea View Hotel in Miami Beach, FL. ¿Hablas Español? This page allows you to find directions, post a comment, read reviews, and check rates at the Sea View Hotel. Rates: Low season from $125. High season from $290. Located in posh Bal Harbour, 10 minutes North of South Beach, the Sea View Hotel is a classic European-style resort. 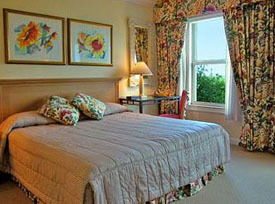 The guest rooms all have water views and measure 500 sq. ft. The hotel is great for a relaxing vacation or a Corporate meeting. Wireless Internet access connections are available in guestrooms and all public areas of the hotel. Click HERE for Sea View Lodging Information. • Leaving the Airport, take I-95 North to Exit 10A, Bal Harbour. • Turn Right on North Miami Blvd. • North Miami Blvd. becomes Broad Cswy. • Bear Right on Kane Concourse. • Turn Left on Bal Harbour Blvd. • The Sea View is on the oceanside. 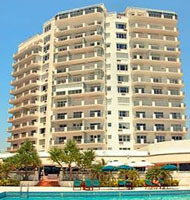 The Seaview is located at 9909 Collins Ave., Bal Harbour, FL 33154. Use our Miami hotel map to find the exact location. Sea View Hotel in Miami Beach. Miami hotel reservations.